All right, uh, Lieutenant Commander Bortus, our second officer. You know, I’ve never met a single-gender species before. Your entire species is male, isn’t it? So, there’s probably not a lot of arguments about leaving the toilet seat up and that kind of thing, right? No. Moclans urinate only once per year. Really? That’s Me, I’m-I’m up two, three times a night. Janice has been experimenting with temporal fields and has made well, a breakthrough would be an understatement. So, it’s an anti-banana ray? It’s really interesting. We need no longer fear the banana. Does it work on all fruit? Obviously there are other uses for such a device. Some previous Star Trek actors are interested and have agreed to cameos, including Wil Wheaton. TrekMovie.com has interviewed Seth MacFarlane regarding his plans for the show. Information on tonight’s episode here. Obviously there will also be some cross over between Star Trek: Discovery and previous series. Jonathan Frakes has directed an episode, and revealed that Discovery will be doing a Mirror Universe episode. Trekmovie.com looks at the latest trailer for the show, giving some of the biggest clues as to what the series will be like one week before its September 24th premiere. Netflix has listed the ten most rewatched episodes of Star Trek. They are not the ones I would choose, with a heavy concentration on Voyager. Critics will not be able to review Discovery until after it airs, with no screeners being released. Some shows might suffer from reduced hype by taking such an action, but I don’t imagine this will happen as this is Star Trek. Plus it probably doesn’t matter to CBS whether people watch when first aired as with other shows. Their goal is to get people to subscribe to their streaming service, which will allow them to catch up after the original episode airs. Netflix has listed the ten most rewatched episodes of Star Trek. While I agree with some choices, such as The Best of Both Worlds, they are not the tenI would choose, with a heavy concentration on Voyager. EW can exclusively reveal that Candis Cayne will return as the Fairy Queen in season 3 (see the exclusive photo below), which finds magic-free Fillory under full but secret occupation by the fairies. 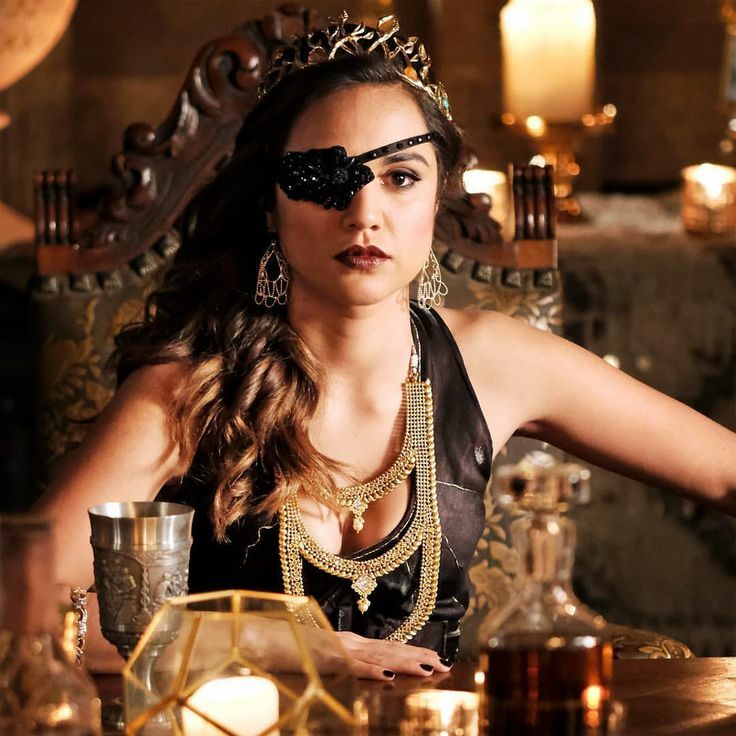 In the new state of affairs, Eliot (Hale Appleman) and Margo (Summer Bishil) are the unwilling pawns of the Fairy Queen, who has her own dark vision for Fillory’s future and whose demands on Margo tend to be particularly baffling and hilariously humiliating — which is what you’d expect from this typically whimsical, mysterious, and at times sadistic species. I have grown to like Margo, but seeing her tormented by the Fairy Queen could be amusing. Dark Matter fans continue to push to keep the show alive, including with Twitter storms. Several campaign links here. I wish them luck. This is a show which is well worth continuing for the entire planned story arc. The Mary Sue gave several good reasons for saving Dark Matter. Legends of Tomorrow went from a weak series its first season to being the best of the CW DC shows last year. This was partially due to other series weakening with time, but Legends also did become much more fun the second season. Third season premiers on October 10. Promo above. Two Doctors stranded in a forbidding snowscape, refusing to face regeneration. And a British army captain seemingly destined to die in the First World War, but taken from the trenches to play his part in the Doctor’s story. This is the magical last chapter in the Twelfth Doctor’s epic adventure. He must face his past to decide his future. And the Doctor will realise the resilience of humanity, discovering hope in his darkest frozen moment. It’s the end of an era. But the Doctor’s journey is only just beginning. 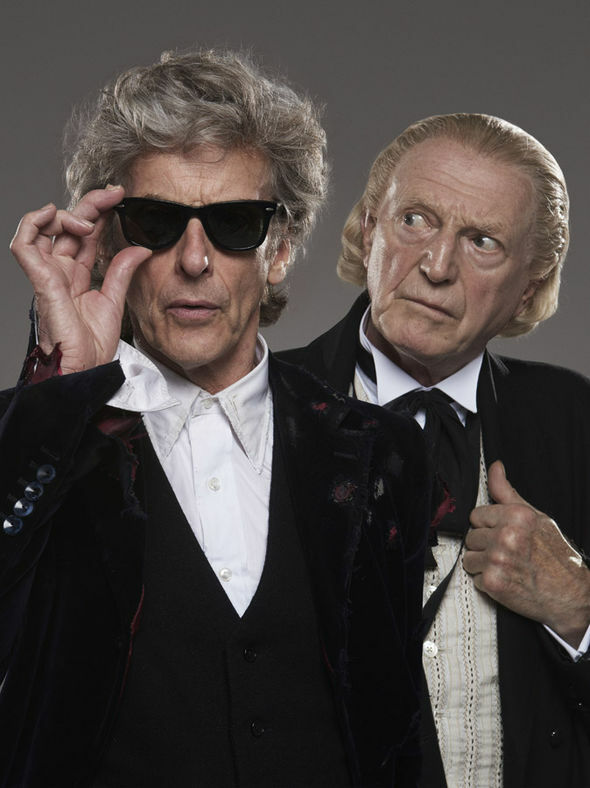 Mark Gatiss will be playing the British army captain and David Bradley will play the first Doctor. This episode will also introduce Jodie Whittaker as the thirteenth Doctor. As I led with Star Trek and related news this week, it is worth noting that it was recently revealed that Peter Capaldi had once auditioned to play Benjamin Sisko on Deep Space Nine. It is hard to see him in the role in place of Avery Brooks. If the audition tape ever is released, it will be interesting to watch. Pearl Mackie has been cast in her first role for after she leaves Doctor Who following the Christmas episode. She will play Lulu in Harold Pinter’s 1957 play The Birthday Party. The link includes an interview with Mackie. Karen Gillan has revealed the disguises she used, along with Matt Smith and Arthur Davill, to blend in at a convention. Claire Foy, who stars with Matt Smith in The Crown, has been cast as Lizbeth Salander for The Girl in the Spider’s Web. It will be interesting to see her in such a completely different type of role.